If your name is (or was) one of the above, you are a cousin. Don’t forget to sign up for the Vahsholtz Cousins newsletter while you’re here! Have any questions? Contact us through our convenient webform! Read the current newsletter, or browse through previous issues. This publication is distributed twice a year, via email (or snail mail for those who wish to receive it that way). Reunion Info (usually held during even numbered years). Stories about your cousins from across the land. COUSINS, Now & Then (73 Years Ago) By Geri (Vahsholtz) Tate…and more! “Ein Prosit” literally means “A Toast” in German. 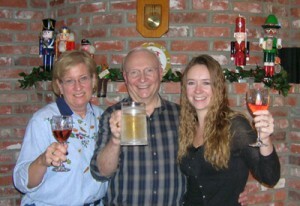 The “Ein Prosit” song was sung by all at the 2006 reunion. Or, download the latest one now. We were headquartered at the Radisson Hotel in Brookfield, on the outskirts of Milwaukee, Wisconsin on July 12th through July 15th . The weather was hot and humid… very hot and humid. Thursday late afternoon and evening were spent settling in, meeting and greeting people. During the Business Meeting, there was a lot to discuss regarding where the 2020 Reunion will be held. Janet and Jenny volunteered to be hosts in Kansas. Discussion was held about the newsletter, future reunions and use of various media sources for communication. We discussed what the Committee had planned for events and traveling to events. It was a lively discussion of business, and fun, too. If you aren’t getting an email copy of the Vahsholtz Newsletter, fill out the form below. 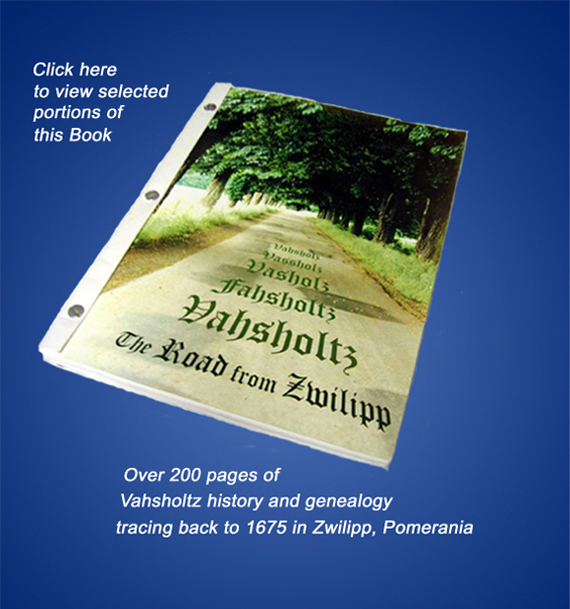 Where Are the Vahsholz’ From? These reunions have been held for some 50 years, inspired by the work of Louis and Melvina Hitzeman. Many years ago Dennis Vahsholtz and his mother Lillie wrote this brief history.